Discussion in 'Wheels & Tires' started by FamouzStarz, Mar 10, 2008. 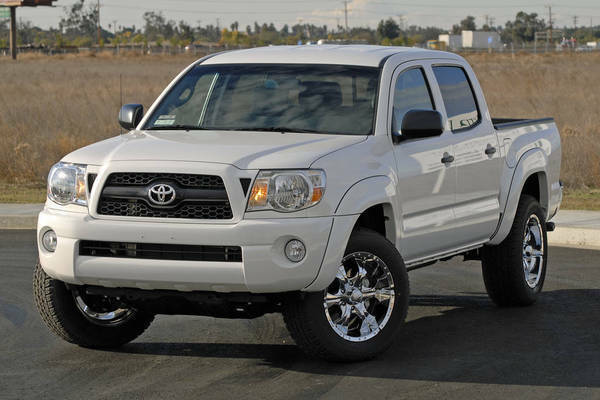 18's whos is running them and what are running rims/tires, lift or not? I'm running them right now. 325/65/18's on a 6 in Fabtech. Wishing i was running 17's these days, but i cant complain too much. Only problem i had was the front left tire going out of round and then in turn ruining the hub assembly and bearing. They would be much better if someone would come out with gears so that i could put them in. I cant find any gears anywhere for a 2005. They were put on at the point on entry -Jacksonville FL. All I can tell you they are Michelin Cross Terrain 275/55/18. They run pretty smooth and don't rub. btw, there isn't a lift. But one is coming in the near future. 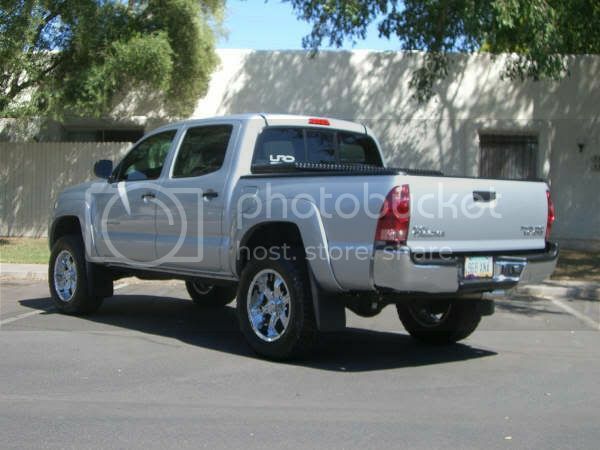 I've got 20" Einkes with BFGoodrich G-Force Low Profile tires on a stock 2005 Taco setup. Toyota Southeast Distributor installed them. Nice Wheels! Do you get people stopping you & asking about your truck, like I do? im running 23's with a stck set up and i only rub a tiny bit when backin up..
Wow what a thread revival.